Croatia has been a popular camping destination for decades, but in early days everything was a bit adventurous, especially for those visiting campsites in the southern regions. 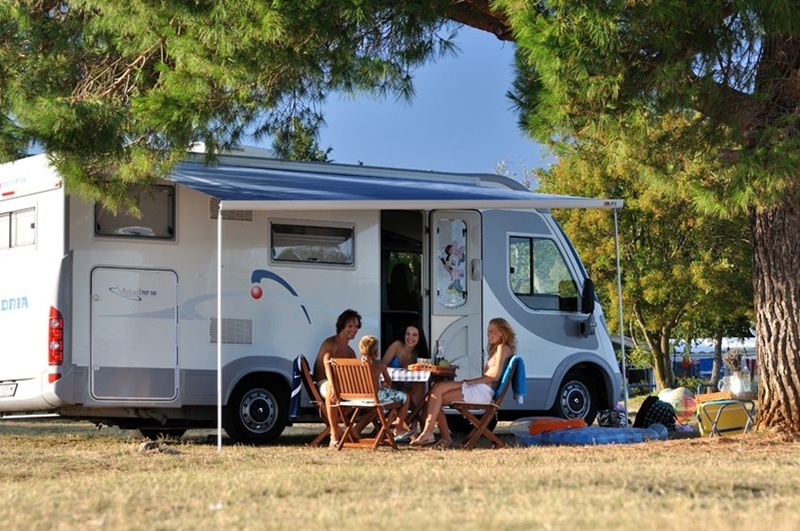 Nowadays, Croatia is a modern camping destinations with almost 2 million camping tourist yearly, the larger campsites have been continuously updated to meet the demands and expectation of a “modern camper”. In total Croatia has more than 200 campsites along the Adriatic coast and on the islands. In the camping region of Istria you can find some of the largest campsites in Croatia; also the highest number of 4 star campsites can be found here. A list of more than 60 campsites in Istria can be found here. In the region of Kvarner, the majority of campsites can be found on the islands of Krk, Cres, Rab and Losinj, but also along the northern coast of Kvarner bay there is quite a few, mainly smaller campsites. A list of more than 50 campsites in Kvarner can be found here. In Dalmatia, there are lots of campsites, especially smaller; most of them are situated along the Dalmatian coastal line, but there are also some campsites on the islands, Pasman, Ugljan, Hvar, Brac and Korcula. A list with almost 100 campsites in Dalmatia can be found here. In Continental Croatia you can also find several campsites. Most of them are around Plitvice Lakes National Park and the area nearby. A list of campsites in Continental Croatia can be found here. Large campsites – in Croatia there are more than 25 campsites with a capacity over 2.000 campers. The largest of them host even more than 10.000 campers. Some of the large campsites are luxury camps, some are more traditional camps. Naturist camping – in Croatia there are about 10 naturist campsites; the majority of them are situated in Istria. Nature campsites – along the coast and especially on the island there is still a large number of campsites which are run in a traditional camping style without a bunch of facilities. Mini campsites is the most common type of campsites. In most cases the mini camps are family run campsites with space for less than 100 campers. At most of the larger campsites it is possible to rent a mobile home; also a growing number of camps offer luxury tents for rent. In a limited number of camps it is possible also to rent bungalows, apartments and traditional caravans. The average camping price in Croatia is slightly less then those in Italy and more or less equal to the European average prices as calculated by German car magazine ADAC. However, prices in Croatia are at the same level as in other Mediterranean countries, or even cheaper if you book in a low season. The average daily camping cost is between 20€ and 60€. The pricing for camping in Croatia depends on different factors, such as position of the site, distance from the sea, facilities in the complex, whether you book a spacious resort or a small campsite, etc. Weigh it off carefully and choose a campsite that ensures a stay according to your interests! Camping in the wild, on the beach or next to the road is not allowed and a fine will be issued if the authorities catch you doing so.